Eric is a recent addition to the Rolfe Judd Architecture leadership, his skills compliment the team with a wealth of cross sector and masterplanning experience. He originally qualified in architecture in the US and has led projects in the UK, US, Europe, Middle East and Asia. 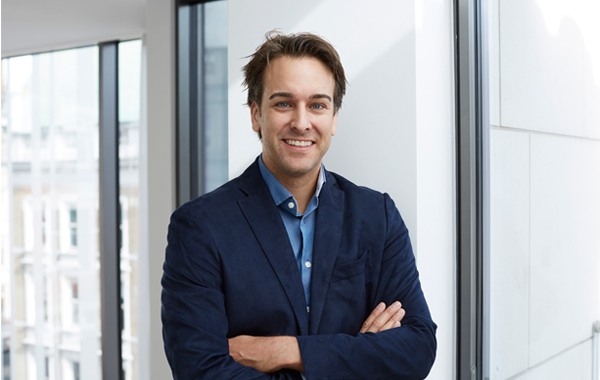 His international outlook means he can offer a broader perspective and this is augmented by his experience working on major multi-purpose developments. Eric is project director for the Clapham Southside scheme in south London which has recently received approval with unanimous support from the Lambeth Council Planning Committee. The proposal provides nearly 300 high quality new homes, jobs and a series of six architecturally stunning buildings, all set within beautifully landscaped public and communal gardens. He is also project director for the redevelopment of the Guildford Cricket Pavilion for Guildford Council and the Surrey Cricket Club. The building, which is due to be completed shortly, re-imagines, modernises and increases the capacity of the existing outdated pavilion, providing new player facilities, a large modern events space and a new member’s area. Eric is currently heading up a prominent office feasibility study for an important site in the heart of the City of London. Eric qualified in architecture at the University of Wisconsin, Milwaukee in the US and obtained his Graduate Diploma in architecture from the Bartlett School of Architecture at the University College London. Eric previously worked for KPF and PLP Architecture.